We are one of the leading Service Providers for Knitting Machine Repairing Services in Hooghly, West Bengal. Our team is highly knowledgeable and uses advanced technology to repair Knitting Machine. The Repairing Services that we offer are rendered as per the international quality standards. Our team first understand the concerns of clients and then repair Knitting Machine accordingly. We never leave any scope for complaints. 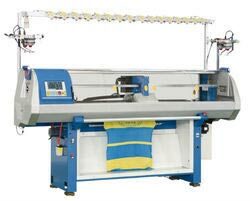 Our Knitting Machine Repairing Services are available at competitive prices in the market.